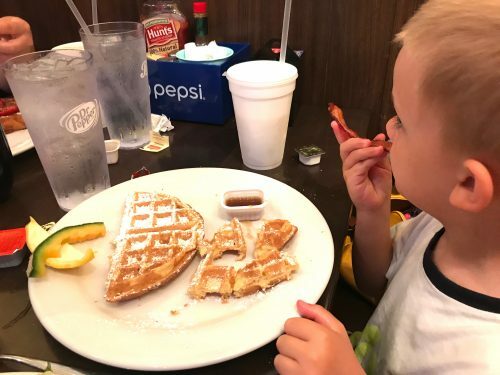 There are so many Panama City Beach restaurants to choose from that it can be a little overwhelming. 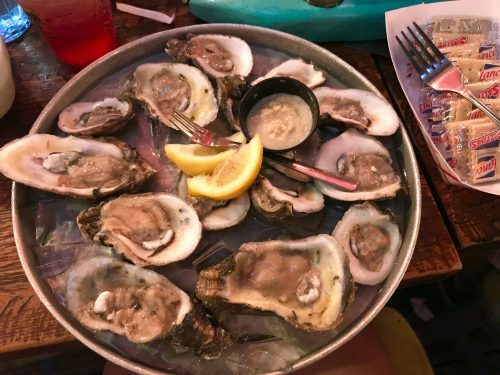 You’re probably wondering what the best places to eat in Panama City Beach are, and while I haven’t sampled them all, I’ve had the opportunity to try quite a few. 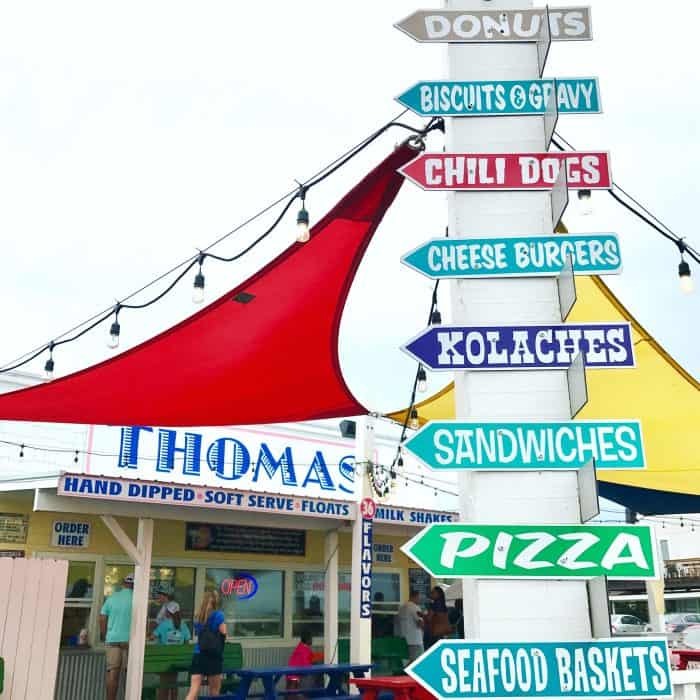 Here are my picks for where to eat in Panama City Beach. 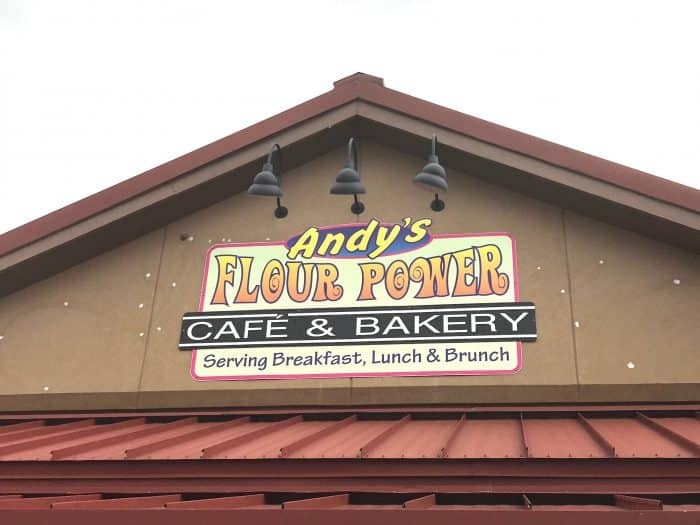 Andy’s is a popular locale with cars parking along the side of the road during peak times so plan ahead! 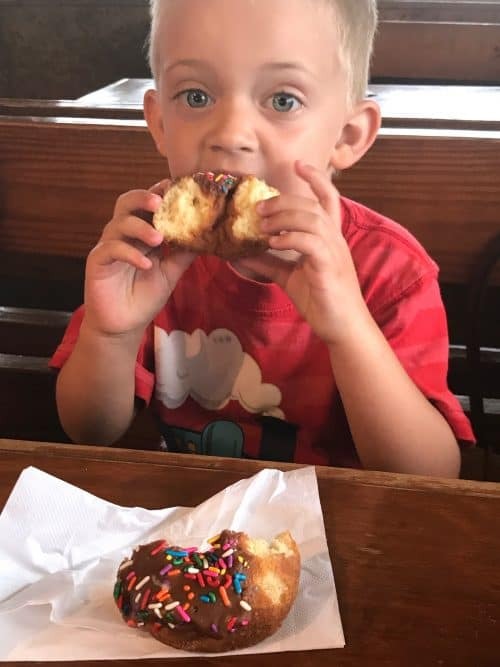 These donuts are worth lining up in the rain for as Panama City Beachgoers proved that morning! Gus agrees. And while both the yeast and the cake donuts were delicious (yes I tried both. 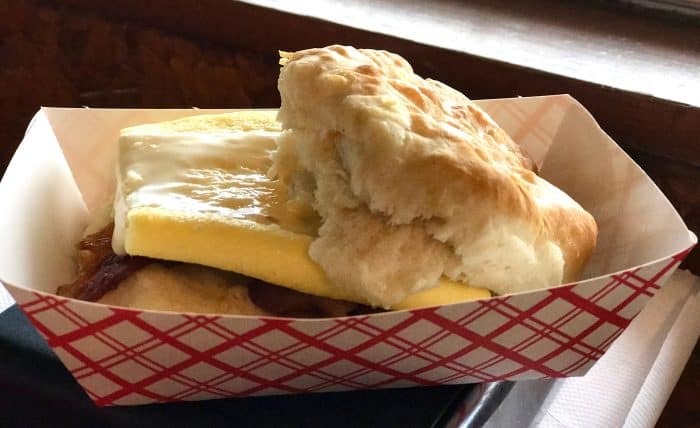 Don’t judge) the biscuit breakfast sandwich was a real treat too. I didn’t expect such a light and fluffy biscuit or such crisp bacon. 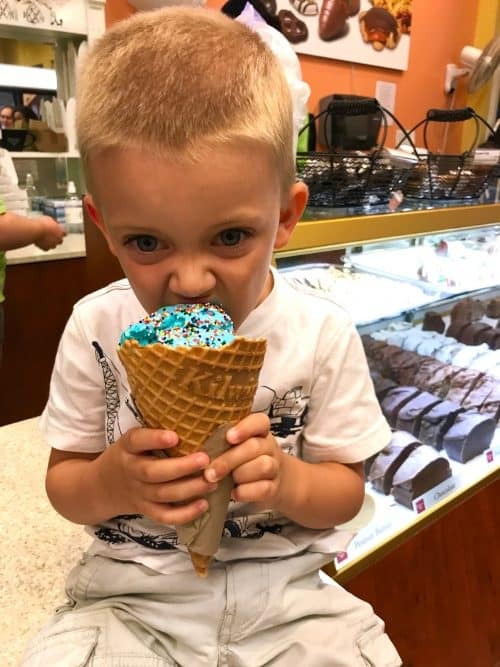 Be sure to save room for one! Wondering where to eat in Panama City Beach that’s actually on the beach? Day or night, Spinnaker is the happening place to be! 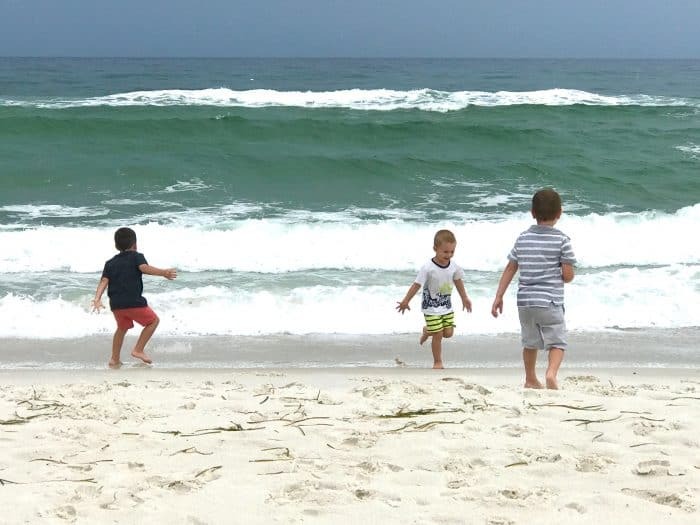 Kids can romp on the beach or play a variety of indoor games in case of rain. 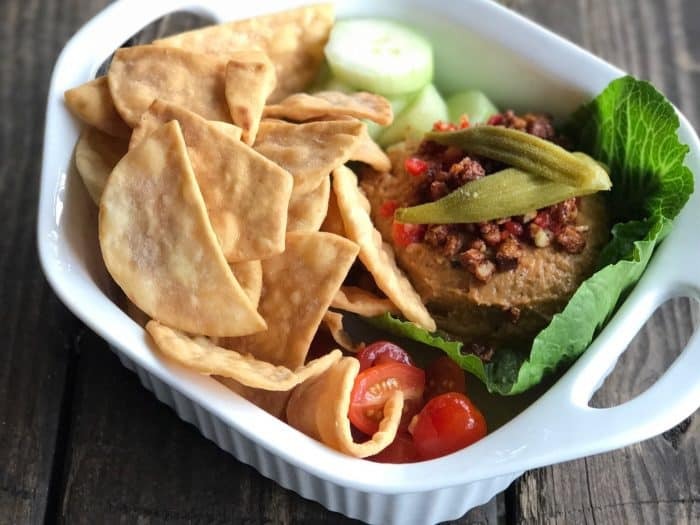 The southern hummus is not to be missed. 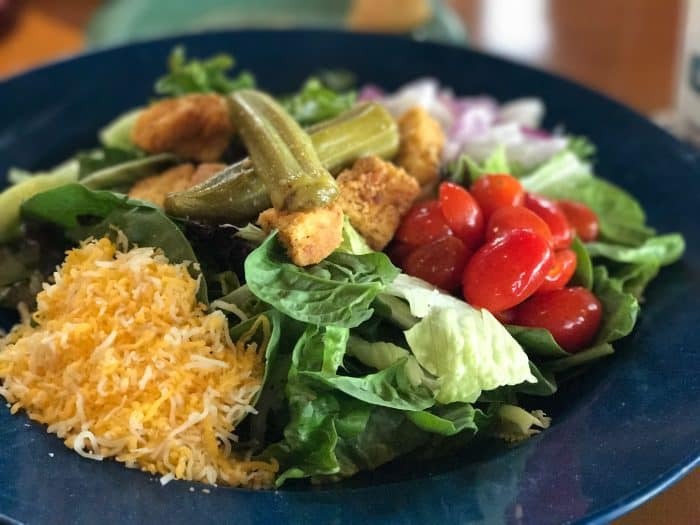 And you might want to have a salad as your entree so you can indulge in chocolate dipped key lime pie on a stick for dessert! 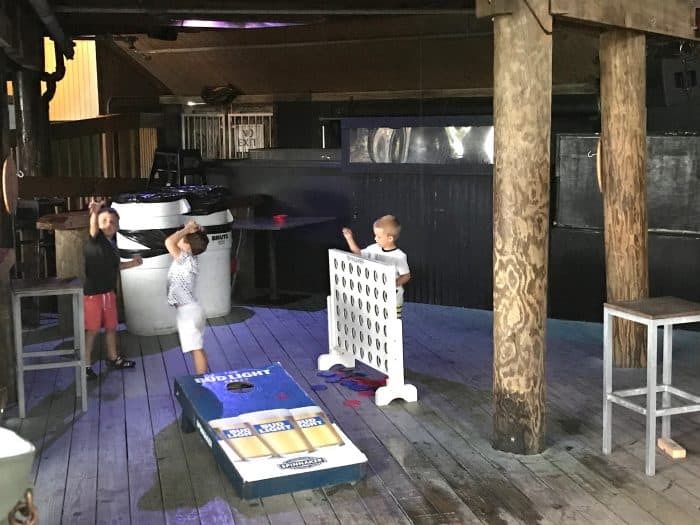 Check the schedule on their website and enjoy karaoke, concerts or dueling pianos at night. 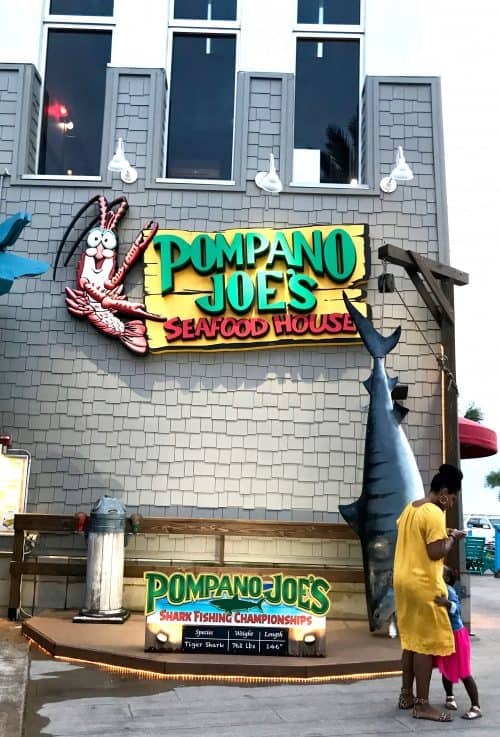 Located at Pier Park, Pompano Joe’s boasts a varied menu that’s sure to please all palettes (even you land lubbers.) 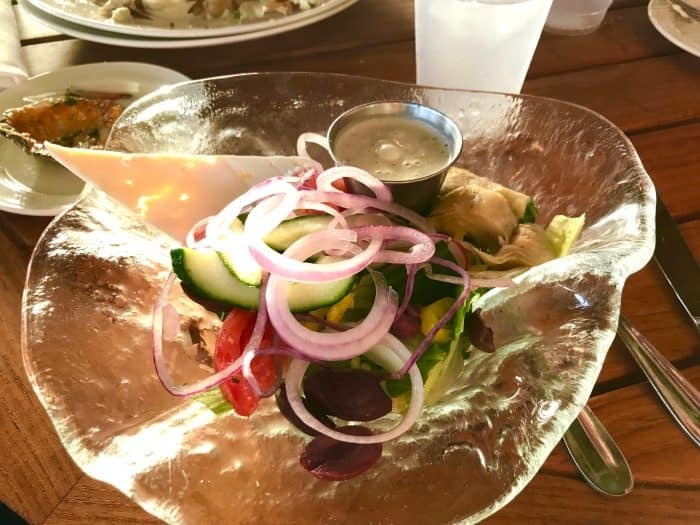 Start out with the Reggae Rolls before enjoying a fresh fish entree or order oysters on the half shell for your meal like I did. It doesn’t get much fresher than dockside dining at The Grand Marlin. You might even see a boat coming in with the latest catch! 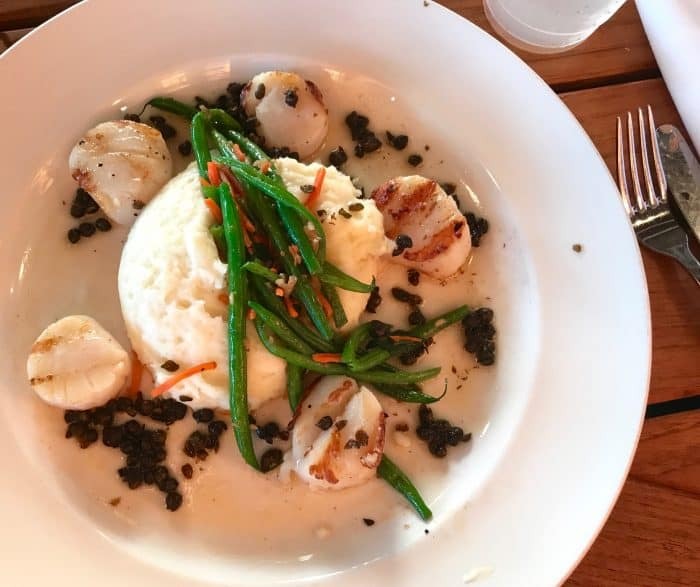 The menu is printed up daily depending on what’s in season so you know you’re eating the freshest of the fresh, like these scallops. 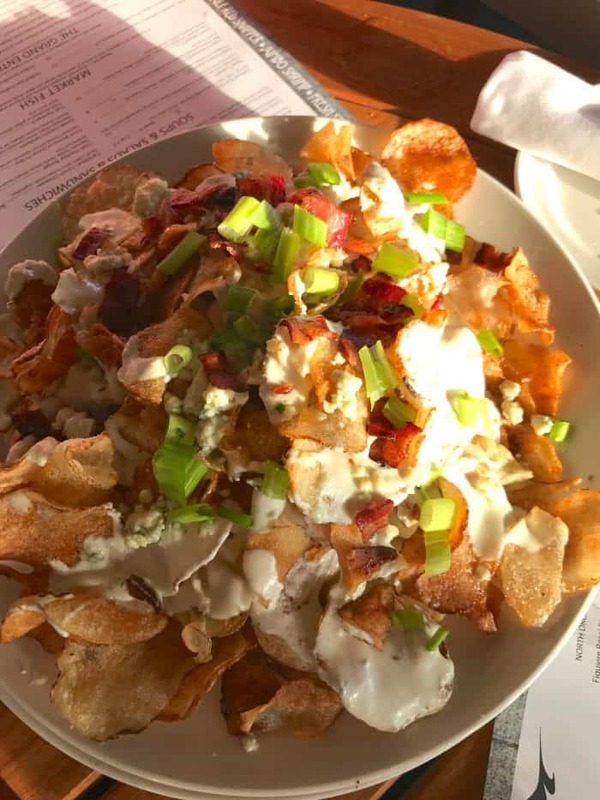 The appetizer menu stays fairly consistent so anticipate some Crispy Lobster Fingers or Blue Angel Chips to start off with. And don’t forget a speciality salad too! While not technically in the Panama City Beach restaurants category, I can’t leave out Kilwins at Pier Park. Enjoy watching them make fresh fudge while you wait in line (yes, everyone else wants some too) for one of 32 flavors of ice cream. It will be worth the wait. 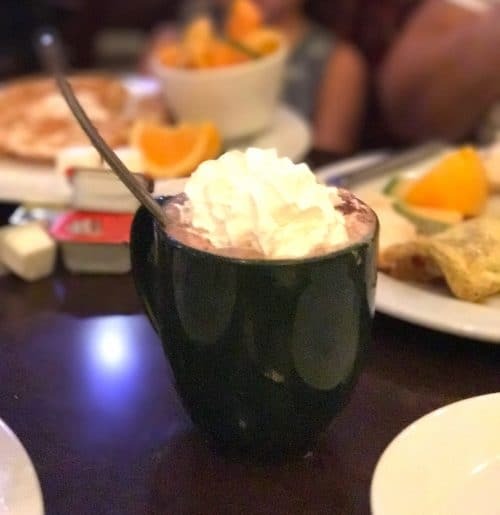 What do you consider some of the best places to eat in Panama City Beach? Which of these Panama City Beach restaurants will you try next? « Little Passports Coupon Code & Unboxing!